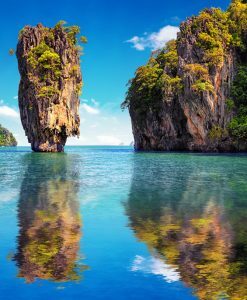 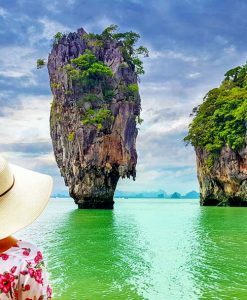 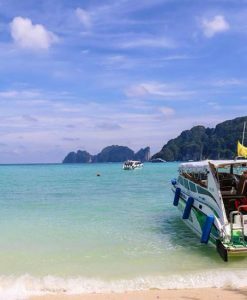 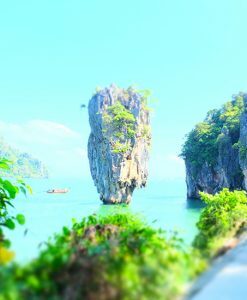 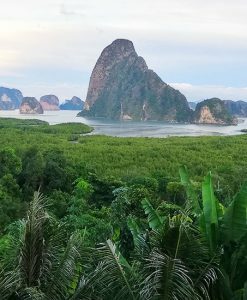 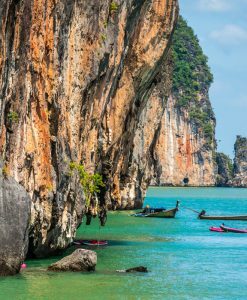 James Bond Island is one of the most beautiful Islands in Thailand where you enjoy cruise sailing through the spectacular scenery of the beautiful Phang Nga Bay which is one of Thailand most beautiful spots. 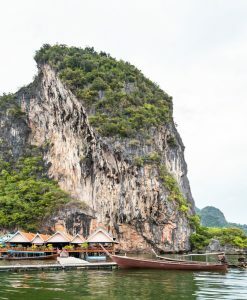 The tours to this Island is usually a full day tour and it became a tourist center after the popular James Bond Movie: The Man with the Golden Gun was shot on the Island in 1974. 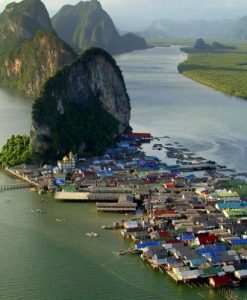 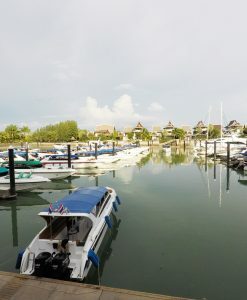 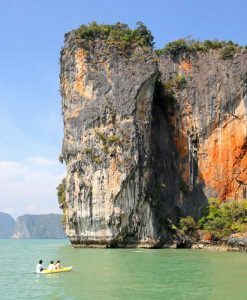 Prior to that time, the Island was referred to as Phang Nga Bay. 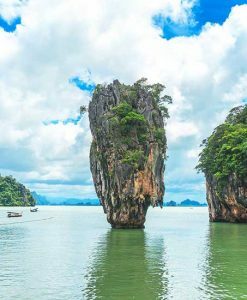 Hand picked James Bond Island Tours, James Bond Island day trips, James Bond Island from Krabi, James Bond Island from Phuket, James Bond Island from Khao Lak! 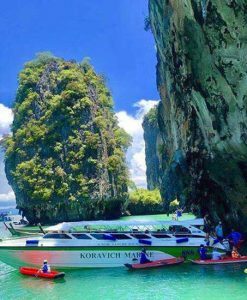 On this James Bond Island Tours, you will appreciate the serenity and calmness of this most beautiful region then you can take a visit to the beautiful Hong Island and have fun canoeing among mangrove forest at Hong. 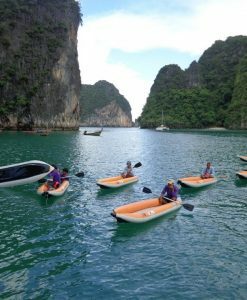 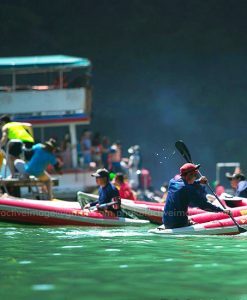 Being a full day tour, you have the opportunity to engage in different activities and water sports such as canoeing, swimming, kayaking, sightseeing and taking photographs of amazing and breathtaking moments. 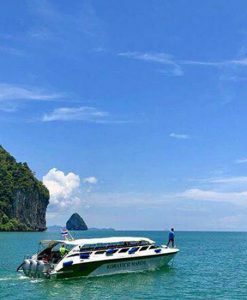 The tours to James Bond Island are usually carried out via speed boat, big boats, long tail boats, catamarans, this help to shorten travel time and lengthen the time you will use to engage in different activities on the Island. 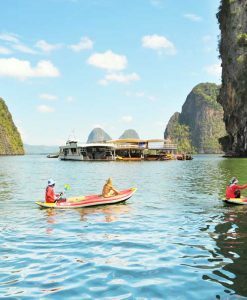 You also get to enjoy sightseeing on Panak Island. 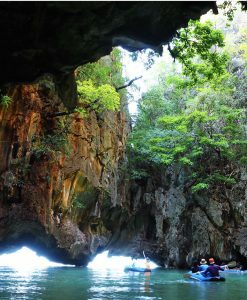 The James Bond Tours Packages or day trips will offer visitors a great chance to explore the beautiful lagoon and passageways by the kayaking or canoeing. 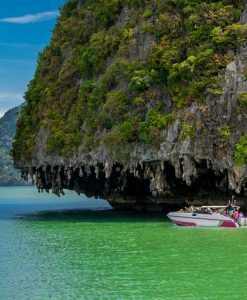 This will give you the opportunity to view the spectacular Scenery, where secret lagoons open into meet the amazing majestic caves. 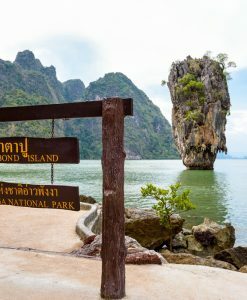 James Bond Island Tours are recommended for anyone that wants to get the true picture of the beauty of Thailand. 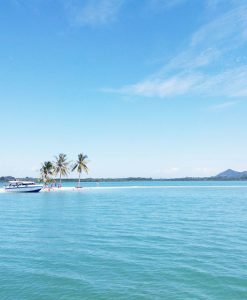 It is an amazing location where you can relax with friends and family and enjoy a memorable escape from the stress of work.